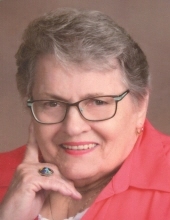 Bonnie L. Hall, age 77, of Zelienople, formerly of Renfrew, passed away on Friday, January 25, 2019 while under the care of VNA Inpatient Hospice. Born April 8, 1941 in New Castle, she was the daughter of the late Don W. Baker and Ethel Frazier Baker. Bonnie was a member of St. Peter’s Reformed Church in Zelienople. She loved listening to music and reading. She enjoyed playing Bingo and riding in the ‘big rig’ truck with her husband. Bonnie was also an avid baseball and football fan, especially of the Pittsburgh teams. She will be dearly missed and fondly remembered. She leaves behind to cherish her memory her sons, Thomas E. Hall and his wife, Peg, of Renfrew, Daniel C. Hall and his wife, Robin, of Baden, and Phillip T. Hall and his wife, Chris, of Harborcreek, PA; her brother, William Baker and his wife, Kathy, of Zelienople; her sister, Rita Hynes of Zelienople; her eight grandchildren and nine great-grandchildren. In addition to her parents, Bonnie was preceded in death by her husband, Clyde A. Hall Jr., who passed away on January 14, 2011; her great-grandson, Liam; and her brother-in-law, Marshall “Smokey” Hynes. Friends will be received from 2-4 P.M. and 6-8 P.M. on Monday, January 28, 2019 at the Boylan Funeral Home, Inc., 324 E. Grandview Ave., Zelienople, PA 16063. A funeral ceremony will be held at 11 A.M. on Tuesday, January 29, 2019 at St. Peter’s Reformed Church, 320 E. Grandview Ave., Zelienople, PA 16063 (Friends please meet at church). Bonnie and Clyde will be laid to rest together at the National Cemetery of the Alleghenies in Bridgeville. If desired, memorial donations may be made in her honor to the VNA Inpatient Hospice, 154 Hindman Rd., Butler, PA 16001. To send flowers or a remembrance gift to the family of Bonnie L. Hall, please visit our Tribute Store. "Email Address" would like to share the life celebration of Bonnie L. Hall. Click on the "link" to go to share a favorite memory or leave a condolence message for the family.